Find out more about our renowned speakers and specialists that will discuss the changes of our times related to Economy, Business, Entrepreneurship, Climate Change, Mobility and Quantum Era in a four panel sessions format. 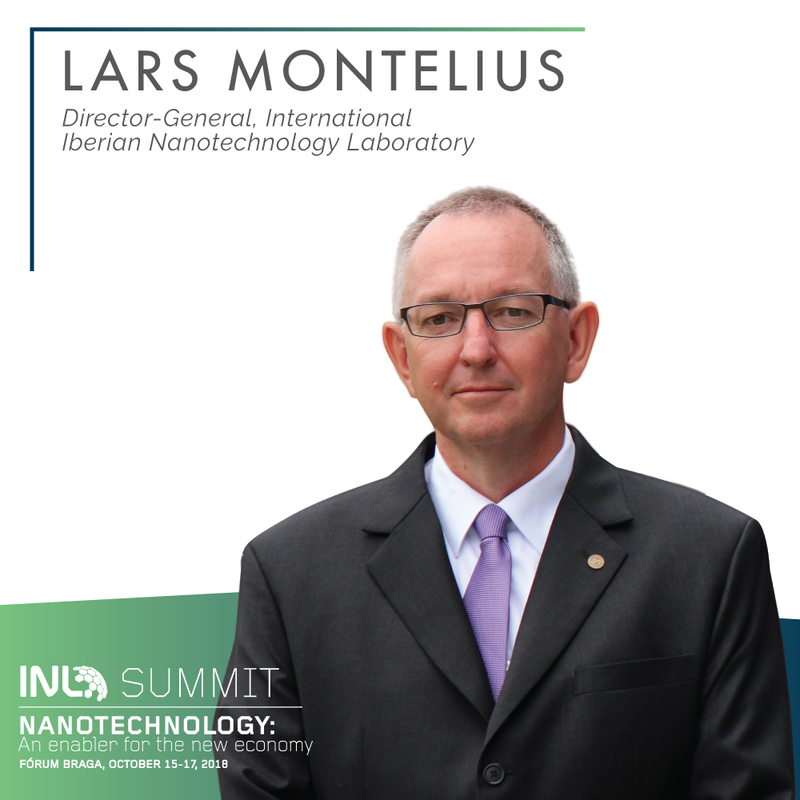 Since Sept 1st, 2014, Lars Montelius is the Director-General of INL - International Iberian Nanotechnology Laboratory in Braga, Portugal. He is a full professor in Nanotechnology at Lund University, Sweden and he was Dean of the Physics Department, Science and Engineering Faculties, Lund University, during 2003-2009. From 2009-2011, he was the director for Öresund University & Öresund Science Region, being a cross-border cooperation between eleven universities, three regional authorities, two countries in the Öresund Region. Currently, he is also the President of IUVSTA - The International Union for Vacuum Science, Technique and Applications with more than 150000 members from 32 countries and he is a member of the EC Executive High Level Group (HLG) at DG NMPB, the board member and Working Group Chair of the two European Technology Platforms NANOFutures and EuMat. Ricardo Rio is, since 2013, the Mayor of Braga. He currently chairs the cross-border association of municipalities designated as “Eixo Atlântico do Noroeste Peninsular”, he is the Chairman of the Executive Board of Cavado’s Inter-municipal Community and presides over the Board of Directors of the following Municipal Companies: “Theatro Circo” and “AGERE”. Throughout his career, he collaborated with various entities such as the the CCDRN, AEP, Training Institute for Trade, Fernando Pessoa University, Institute for Management of Social Security Capitalisation Funds; Foundation for Science and Development of the Municipality of Porto and also provided advisory services to the Board of Directors of Porto’s House of Music and to the City of Guimarães Foundation. Ricardo Rio was also a University Professor, having lectured at the following institutions: Fernando Pessoa University, ISAG, Lusíada University and IESF. 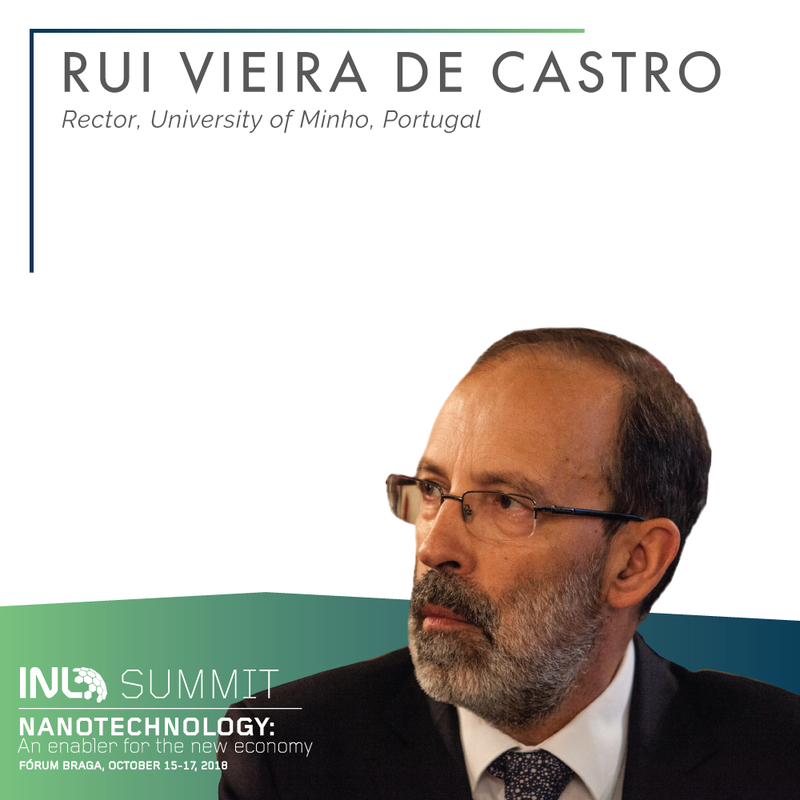 Rui Vieira Castro is the Professor and Rector of Universidade do Minho since 2017. He was the President of the Portuguese Association of Linguistics, member of the Board of the Portuguese Society of Didactics of Languages nd Literatures between 2004-2006 and also coordinated panels of doctoral and post-doctoral fellowships from the FCT in the field of Educational Sciences. He collaborated with the Portuguese Ministry of Education in the context of curricular reforms, teacher training and educational evaluation. And between 2003-2008 he was the Director of the Department of Education Methodologies of the Institute of Education, the President of the Adult Education Unit, between 2004-2011, the President of the Confucius Institute, between 2009-2017 and Vice President of the Academic Council of the University of Minho, between 2006-2008. In 2008 he joined the Statutory Assembly of the University of Minho, having been elected to the General Council of the University the following year. Vice-Rector of the University of Minho, between 2009-2013, with teaching and research. Between 2013-2017 he held the same position as Vice-Rector, in charge of Education and was then elected to the General Council of the University. 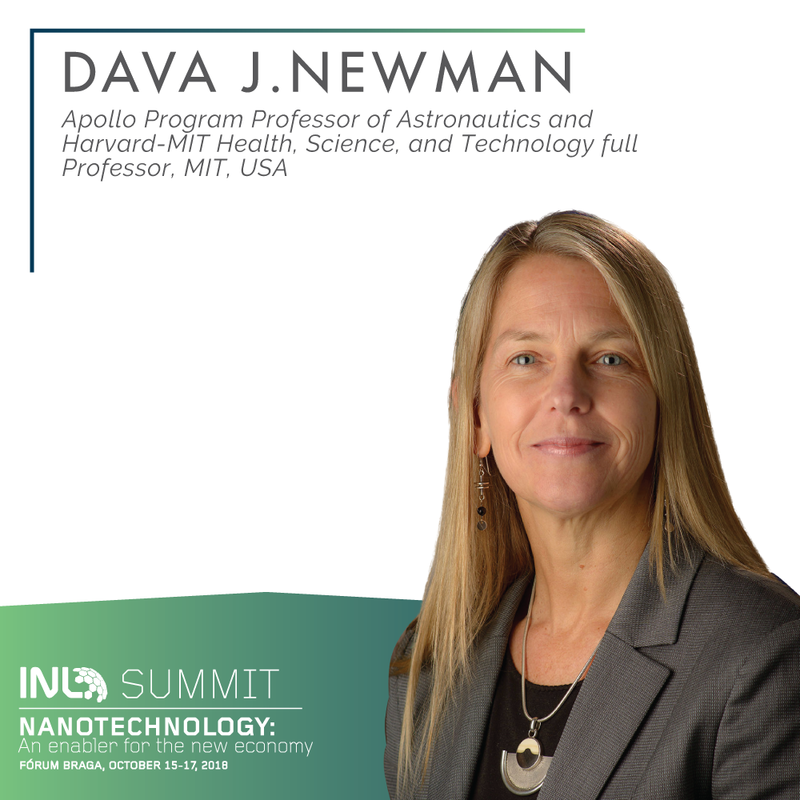 Dava J. Newman, Apollo Program Professor of Astronautics and Harvard-MIT Health, Science, and Technology full Professor, has served as director for MIT’s Technology and Policy Program and led the MIT Portugal Program, an alliance between Portuguese public and private organisations. Most recently she served as NASA's Deputy Administrator, helping oversee the agency’s legislative, intergovernmental, all International Partnerships, and implemented and Innovation Framework for NASA’s Journey to Mars. She also developed 4 new space suits, is the author of Interactive Aerospace Engineering and Design, an introductory engineering textbook, and has published more than 300 papers in journals and refereed conferences. In addition to the combination of liberal arts with technical courses she found at Notre Dame, she was a member of the women’s varsity basketball team and coached high school girls’ basketball at a local school during her last two years at the University. During her sailing circumnavigation (sailing around the world), she taught K-12 students as a NASA Solar System Ambassador, an honor she received as part of the Galatea Odyssey Mission, an international outreach educational effort. 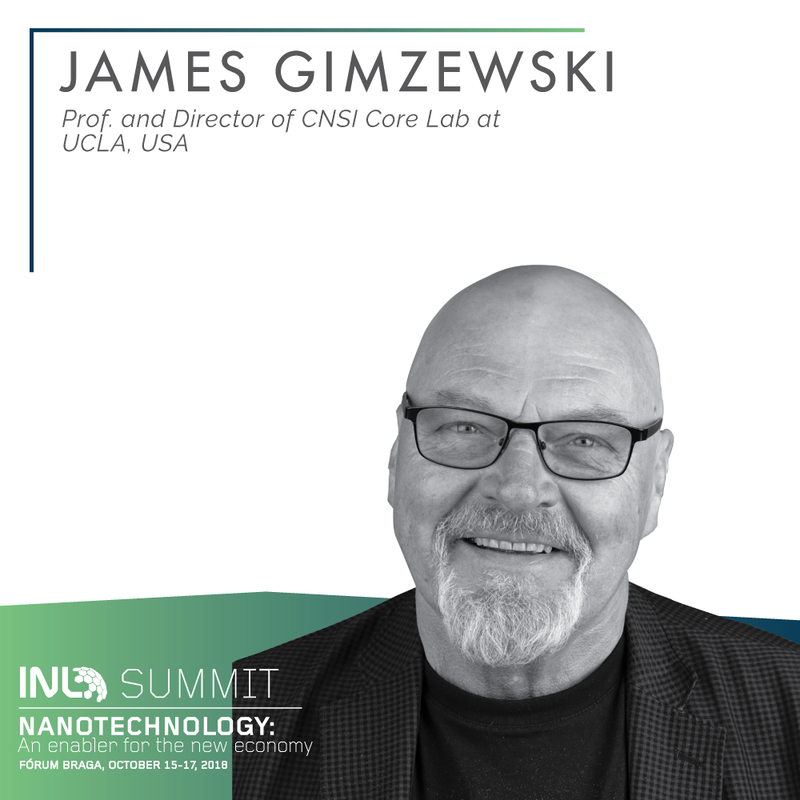 James Gimzewski is a distinguished Professor in the Department of Chemistry and Biochemistry at the University of California, Los Angeles and the Nano/Pico Characterization Lab Director of the UCLA California NanoSystems Institute (CNSI). Prior to joining the UCLA faculty in 2001, he was a group leader at IBM's corporate research laboratory in Zürich, Switzerland for 19 years. Dr. Gimzewski pioneered research on mechanical and electrical contacts with single atoms and molecules using scanning tunneling microscopy (STM) and was one of the first persons to image molecules with STM. His accomplishments include the first probe tip fabrication of molecular suprastructures at room temperature using mechanical forces to push molecules across surfaces, the discovery of single molecule rotors and the development of new micromechanical sensors based on nanotechnology, which explore ultimate limits of sensitivity and measurement. This approach was recently used to convert biochemical recognition into Nanomechanics. Dr. Gimzewski is also involved in numerous art-science collaborative projects that have been exhibited in museums throughout the world. Mr. De Bourbon is an executive with more than 28 plus years of significant international management, sales, marketing, consulting, strategy, business development, digital transformation, IoT, Nano IoT, Security, AI, blockchain, cognitive and neural networking, contextual learning, finance, operations, mergers and acquisitions background gained at several blue chip, companies in the IT /Telecom industry, such as Verizon, CA, IBM, HP, Lucent, Ericsson, Hewlett-Packard. He joins Tele2 from Verizon where he drove the multi-billion Euro Northern European P&L, towards their enterprise clients. Throughout his career, Gerard and team championed substantial increases in sales, year on year. While at Verizon he helped his MT and entire team on the reversal of a declining business into one which outgrew all competitors (+36%), increased market share each year, and returned the business unit from -50% operating loss to +10% operating profit over 12 quarters while successfully integrating eight acquisitions. Mr. De Bourbon has taking companies public and exited a successful venture pioneering M2M connectivity and mobility functionality in the healthcare sector. In 2007, he was awarded the Bolsa Ernesto de Sousa prize, Lisbon-NYC. He collaborated with several artists and scientists and his work has been presented worldwide. He was coordinator of ICT ART CONNECT 2013 and of ICTARTCONECT. study for the European Commission. These activities gave origin to the DG CONNECT's initiative STARTS - Science, Technology and the Arts in which he is extremely involved in. He and his colleagues at Artshare are actively contributing to the VERTIGO, CREATE-IoT and BRAINHACK EC funded projects. 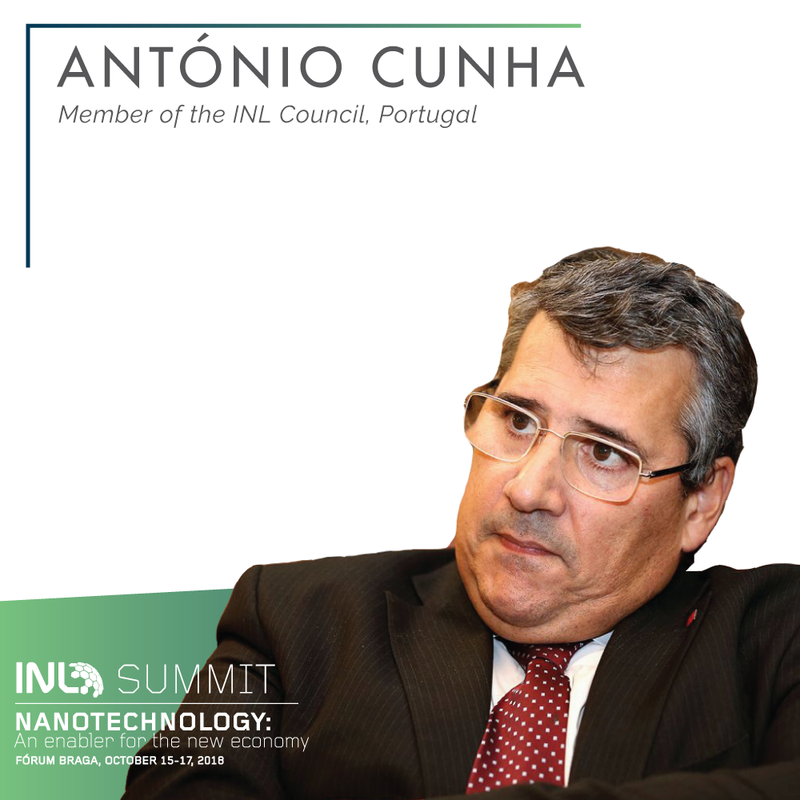 António Cunha, President of the Collaborative Laboratory in Digital Transformation (DTx), co-chairman of the MIT Portugal Program and the Bosch-UMinho project, as well as a board member of INL - Iberian International Nanotechnology Laboratory and CEIIA Engineering and Product Development. Was the co-founder of PIEP - Innovation in Polymer Engineering and its administrator from 2001 to 2009. He is also a member of the Engineering Academy, Gold Insignia of the University of Santiago de Compostela and Honorary Citizen and Medal of Honor of the Municipality of Guimarães. He is also the member of the Advisory Councils of COTEC-Portugal and AEP, as well as the INPI Industrial Property Reflection Group. He holds 4 patents and was responsible for 3 winning projects of national industrial innovation contests and co-founder of several technology-based companies. 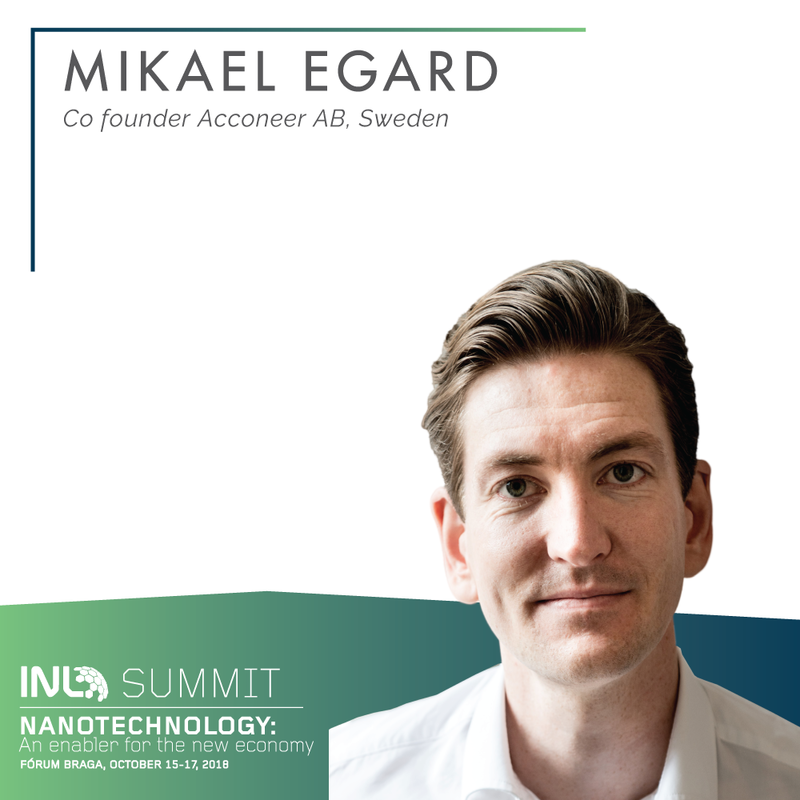 Mikael Egard is one of the co-founders of sensor technology startup Acconeer AB in Sweden and has worked together with his colleague Mats Ärlelid in the company since it was founded in 2011. The company was created from research at Lund University where Mikael received the PhD degree in physics in 2012. During Acconeer’s journey from 2 employees and an idea, to a company launching an innovative and disruptive 3D sensor on the market, Mikael has contributed in all aspects of the entrepreneurial journey and today holds the position of COO. 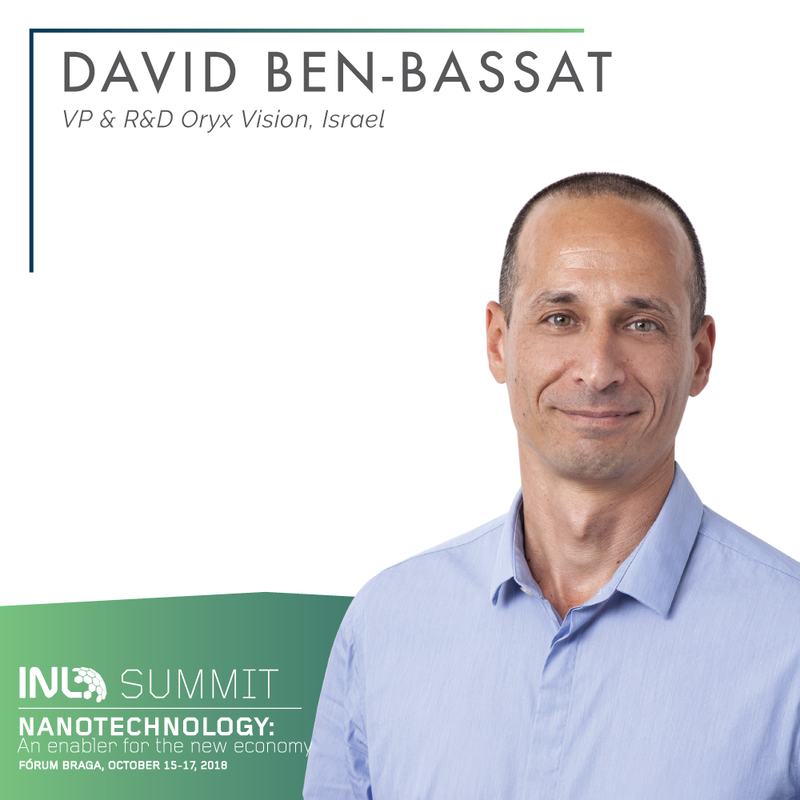 David Ben-Bassat, founder and VP R&D of Oryx vision, a company based in Israel that is developing LIDAR technologies for automotive systems, utilising a unique 10um sensor technology. Between 2004-2009 he was the VP of the Corporate R&D company - Vishay, one of the largest manufactures of discrete components in the world, and managed all R&D activities of the 16 divisions in Vishay. He was also the founder & CEO of RFWaves, a fabless IC company focusing on short range low power wireless communication, and developed short range wireless communication modules for consumer applications (mouse, keyboard, speakers, remote controls etc.). 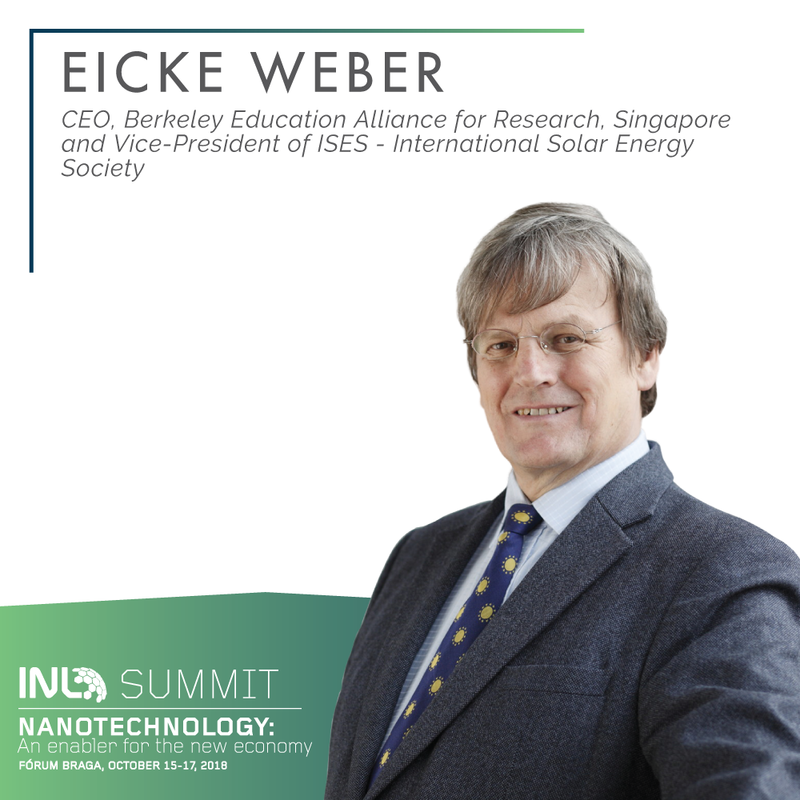 Professor Eicke R. Weber serves as Vice President of the International Solar Energy Society ISES since 2015. He has been Director/CEO of the Berkeley Education Alliance for Research in Singapore from 2017 to 2018. Between 2006 and 2016, he served as Director of the Fraunhofer Institute for Solar Energy Systems ISE in Freiburg, Germany and previous to that Prof. Weber was on the Faculty of the Department of Materials Science of UC Berkeley and Faculty Investigator of Lawrence Berkeley National Labs. He also served as the founding Chair of the Berkeley Nanoscale Science and Engineering Graduate Group. Prof. Weber studied Physics at the University of Cologne, Germany, where he obtained his doctorate and his research is concerned with Materials Science of semiconductors, including nanoscale semiconductors, especially for photovoltaic applications. 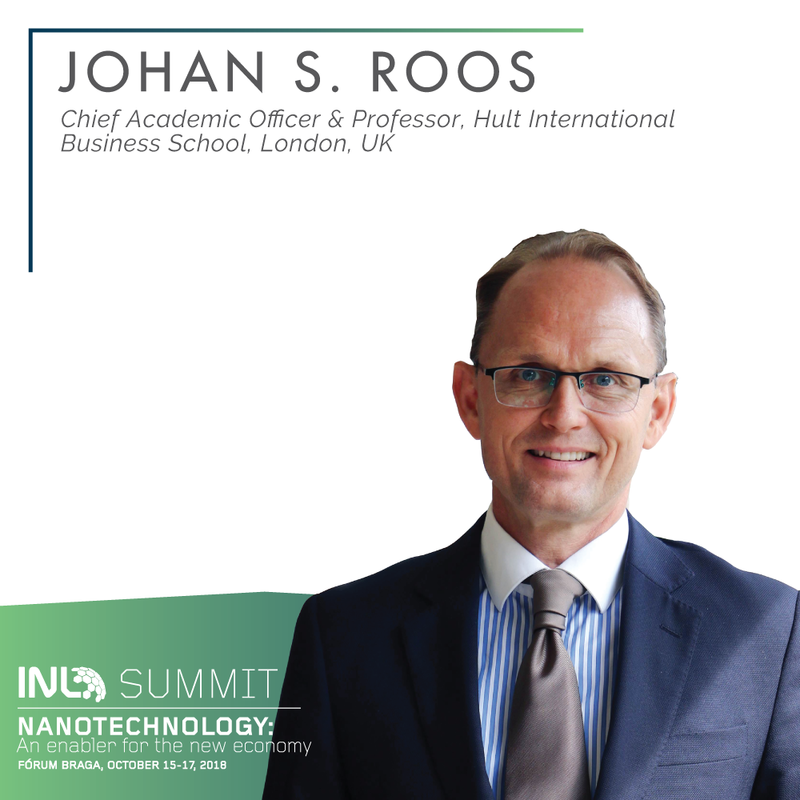 Johan S. Roos, responsible for all academic activities across HULT's campuses in Boston, San Francisco, Shanghai, Dubai, London, and Ashridge. Lead team effort that enabled HULT (with Ashridge) to gain AACSB accreditation in 2017 and EQUIS in 2018, becoming the first "tripple crown" accredited business school in the US by developing and implementing a new research strategy as well as global support structure and incentive model. CEO, Dean and Professor, Jönköping International Business School (JIBS) in Sweden between 2012 and 2015, which culminated gaining the first “double” EQUIS & AACSB accreditation in the country. Serves on the steering committees of the Global Peter Drucker Forum conferences, the EPAS program and EOCCS online course certification committees. Strong background in international academic leadership, scholarship and entrepreneurship. 1/4 century work experience from seven business schools in six countries, and a Swiss foundation. Elizabete Pinho is the R&D Manager at TMG Automotive since 2009. Holds a Chemical Engineering Degree from the University of Oporto in Portugal and Advanced studies at MIT on biopolymers in 2009. She Joined TMG Automotive in 1998 as Project manager working with Volvo; Opel; Daimler; BMW; Toyota amongst others and also launched first the IMG TPO foil used in Astra 2001 model in Europe with Opel, JCI and Frimo. 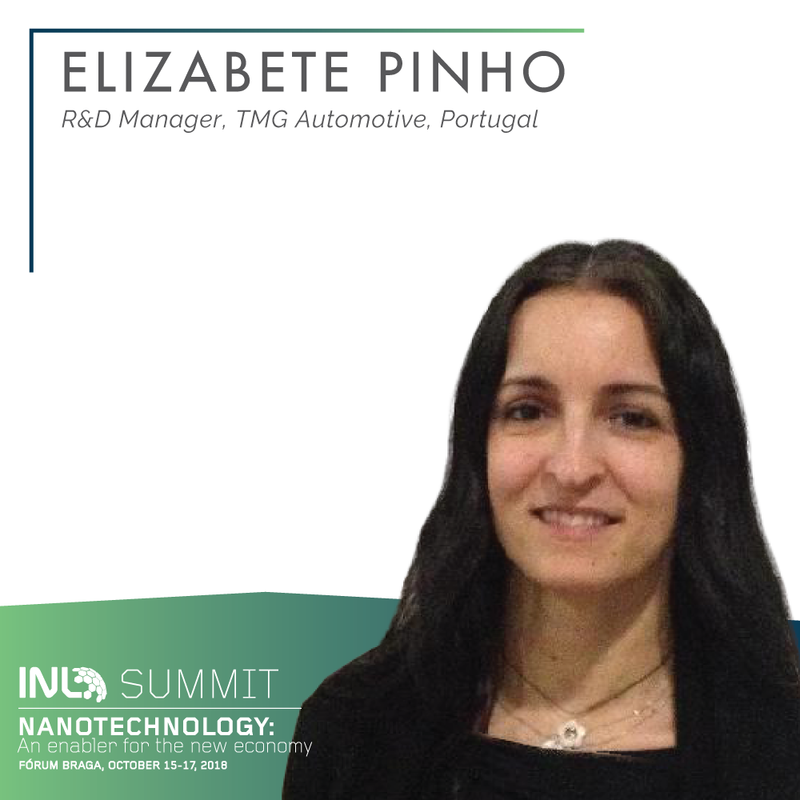 Her main research areas of interest are new polymers and technologies for interior automotive trim materials with focus on sustainability, circular economy and perceived quality. She’s also a fan of collaborative research strategies and open innovation practices also participates actively on innovation certification and definition as well as establishing best practices on organisational changes. José Antonio has been working in electronics R&D for more than 20 years. 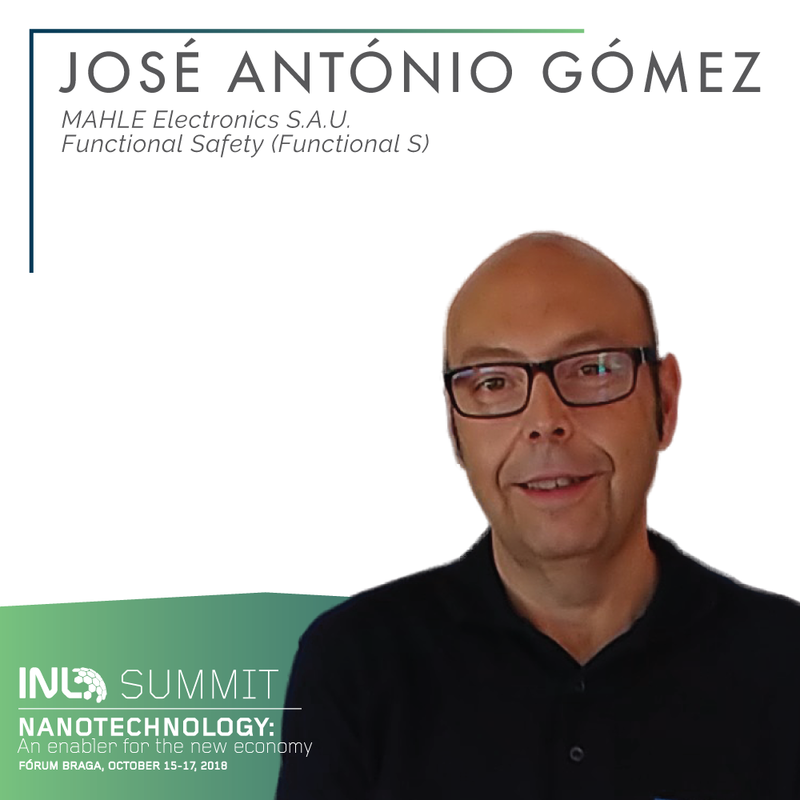 During this time, José Antonio has played different roles as software engineer, hardware engineer, system engineer, RTL engineer, validation manager, R&D director or functional safety manager. Along his career, he has participated in different projects from power electronics to network-on-chip, through different markets like consumer, industrial or automotive. Mahle is one of the big automotive Tier1, around 80.000 employees, around 7.000 engineers among them. Mahle Electronics is the reference development center in Mahle for electronics. José Ignacio LATORRE is a full professor on Theoretical Physics at the Universitat de Barcelona and a long term visinting professor at the Center for Quantum Technologies in Singapore. He is the head of the Quantic research group at the Barcelona Supercomuting Center. He got his PhD in High Energy Physics at the Universitat de Barcelona, then became a MIT Fulbright Fellow in USA, followed by a postdoc at the Niels Bohr Institutet in Denmark. He has worked on short visits in a large number of universities. He has written over 120 research papers in international journals on Quantum Physics. He founded the Centro de Ciencias de Benasque Pedro Pascual, that he directs. He has produced two documentaries, one of them with the last voice of the Manhattan Project by Roy Glauber. He serves as advisor on quantum technologies for companies. He is a partner at Entanglement Partners SL. He produces wine for fun. 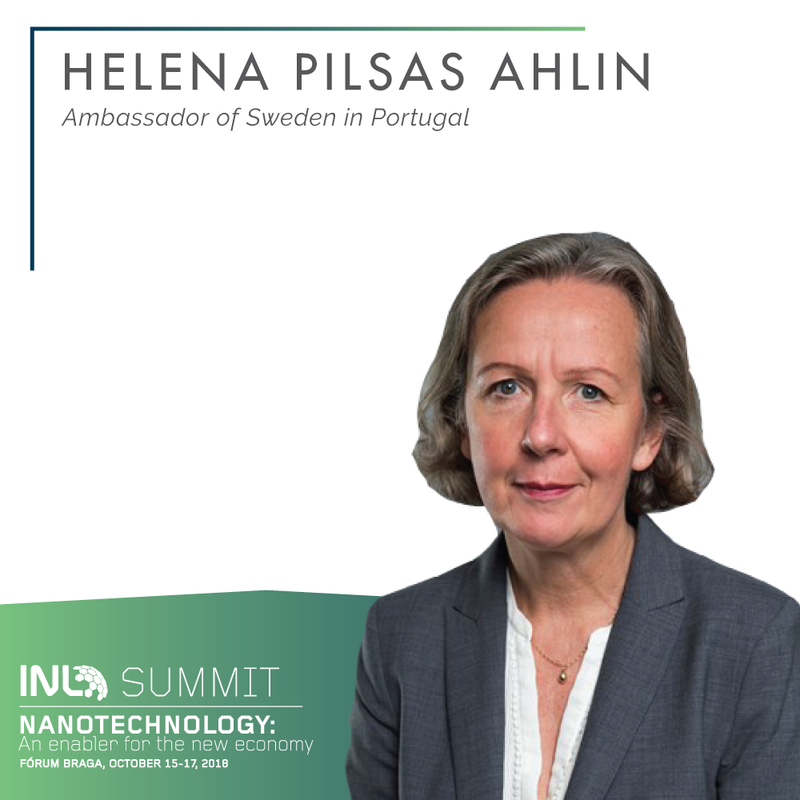 Helena Pilsas Ahlin is the Ambassador of Sweden in Portugal since 2017. Born in 1960 in Stockholm, Ambassador Helena Pilsas Ahlin holds a Degree in Law from the University of Stockholm (1988). She joined the Swedish Ministry for Foreign Affairs in 1989 and served as Ambassador of Sweden to Bulgaria, based in Stockholm, from 2010 to 2015, and as Head of the Diplomatic Training Programme from 2015 to 2017. From 2004 to 2010, she was the Head of the Nordic-Baltic Division of the EU Department. Previously, Ambassador Helena Pilsas Ahlin served as Deputy Director of the Central Europe and EU Enlargement Division of the EU Department, from 2003 to 2004, and as Deputy Director of the Central Europe Division of the Department for Eastern Europe and Central Asia, from 2002 to 2003. Ambassador Helena Pilsas Ahlin has been decorated with The Order of the Madara Horseman, First Class, awarded by the Republic of Bulgaria in 2015. Carl Schlyter is a Swedish politician who has been a member of the Swedish Riksdag for Stockholm County since 2014 and a Member of the European Parliament (MEP) from 2004 to 2014. He is a member of the Green Party, which is part of the European Greens, and sat on the European Parliament's Committee on the Environment, Public Health and Food Safety. He is a member of the ACP-EU Joint Parliamentary Assembly. He was also a substitute for the Committee on Budgetary Control and the Committee on Fisheries, and a substitute for the delegation for relations with the countries of Southeast Asia and the Association of Southeast Asian Nations. Edward Schneider is the general partner of Quan Management LLC, and more recently, Oralad Management AB. He has 30 years of investment experience, including 22 years in managing technology funds in both quoted equities and venture capital. Prior to founding Quan Management in 2000, Edward Schneider was a Geneva-based fund manager for Lloyds TSB Bank, where he managed equity mutual funds as well as an external venture capital portfolio. 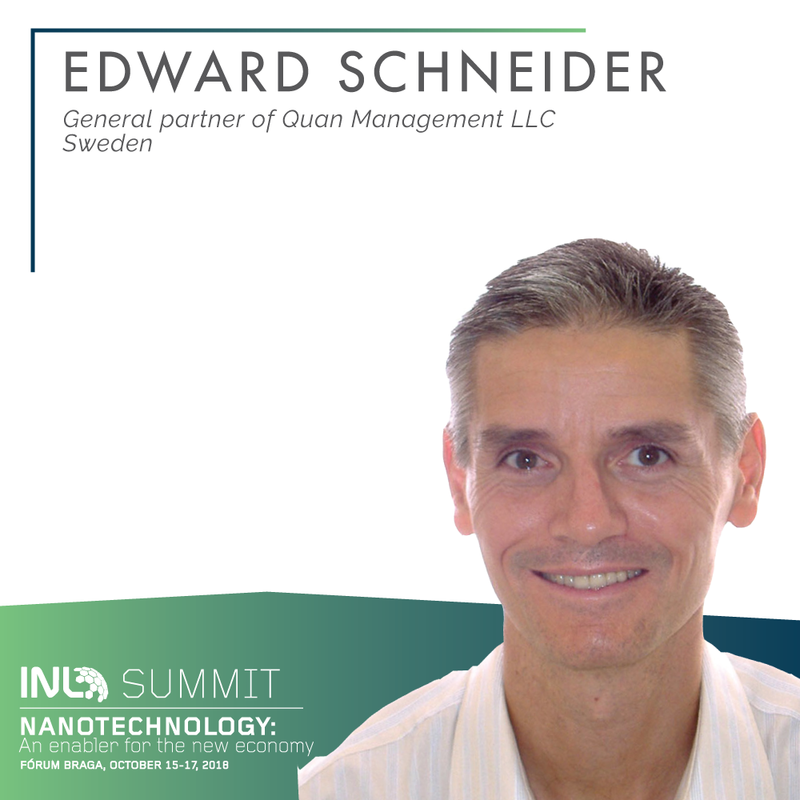 Edward Schneider holds a CFA designation, IEEE membership, MBA from Thunderbird and BA from Emory University. Dr. Marina Villegas holds a Ph. Degree in Chemistry. She got tenured as a Scientific Researcher at the Spanish National Research Council and developed most of her research career at the Electroceramics Department of the Institute of Ceramics and Glass. Dr. Villegas impulsed several research lines, mainly devoted to Materials Science, particularly in the field of chemical synthesis of ceramic materials. She accumulates expertise on dielectric, ferroelectric and piezoelectric (lead based and non-lead based) ceramic materials, as well as in traditional ceramics. Her main achievements have been related to the surface modification of ceramic particles and nanoparticles and the study of microstructure and grain boundary effects to the electrical properties of different electroceramic materials. She is coauthor of more than a hundred scientific publications, has participated in more than fifty scientific projects and is coauthor of five patents, one of them licensed to Keraben and another one licensed to Roca (world leader company fabricating ceramic sanitary ware). At her research institute she held positions of Department Head and Deputy Director. Dr. Villegas’s research management career intensified in 2010, when she was appointed Director of the Postgraduate Department at CSIC Central Headquarters. Shortly afterwards, in 2012, she was appointed Deputy Director General for Research Projects at the Spanish Ministry for Economy and Competitiveness (MINECO). In 2014 she was designated Director General for Scientific and Technical Research (in the same Ministry), occupying that post until she was appointed as the first Director of the new State Research Agency on June 2016. 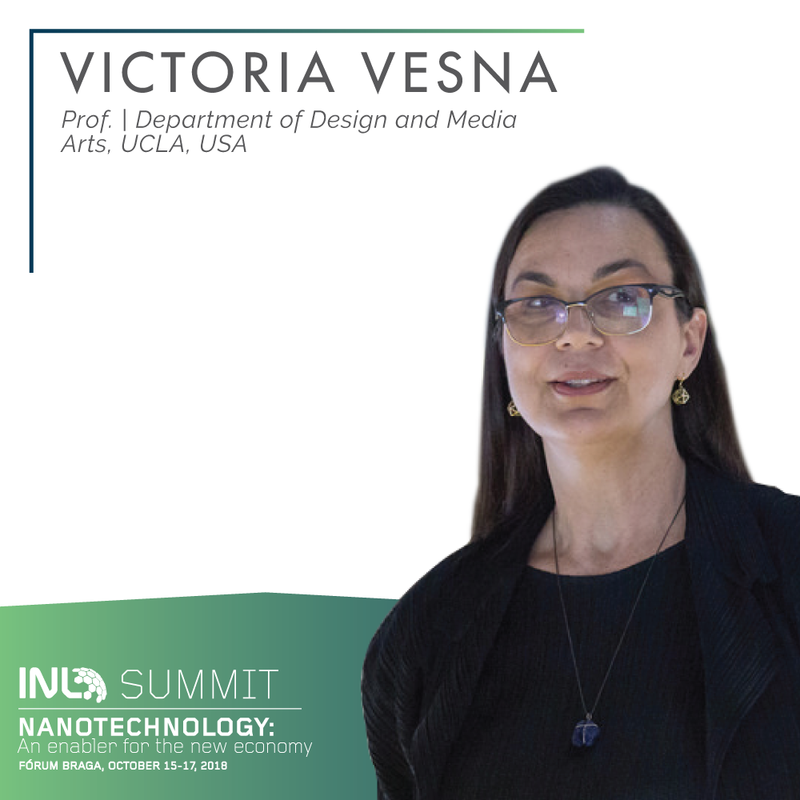 Victoria Vesna, Ph.D., is an artist and professor at the UCLA Department of Design Media Arts and Director of the Art|Sci Center at the School of the Arts and California NanoSystems Institute (CNSI). Although she was trained early on as a painter her curious mind took her on an exploratory path that resulted in work can be defined as experimental creative research residing between disciplines and technologies. With her collaborative art projects she investigates how communication technologies affect collective behavior and perceptions of identity shift in relation to scientific innovation (PhD, University of Wales, 2000). Her work involves long-term collaborations with composers, nano-scientists, neuroscientists, evolutionary biologists and she brings this experience to students. Victoria has exhibited her work in 20+ solo exhibitions, 70+ group shows, has been published in 20+ papers and gave 100+ invited talks in the last decade. She is the North American editor of AI & Society journal (Springer Verlag, UK) and in 2007 published an edited volume - Database Aesthetics: Art in the Age of Information Overflow (Minnesota Press) and another in 2011 - Context Providers: Conditions of Meaning in Media Arts. (co-edited with Christiane Paul and Margot Lovejoy) Intellect Ltd, 2011. Currently she is working on a series of essays on Art Science & Technology. José Carlos Caldeira is currently Board Member of INESC TEC. Member of the MANUFUTURE High Level Group and Chairman of its National and Regional Technology Platforms Group. He is also Board member of the EFFRA – European Factories of the Future Research Association and a national expert to the NMP+B Programme Committee of the HORIZON 2020 and, since 2012, RIS3 expert of DG REGIO. 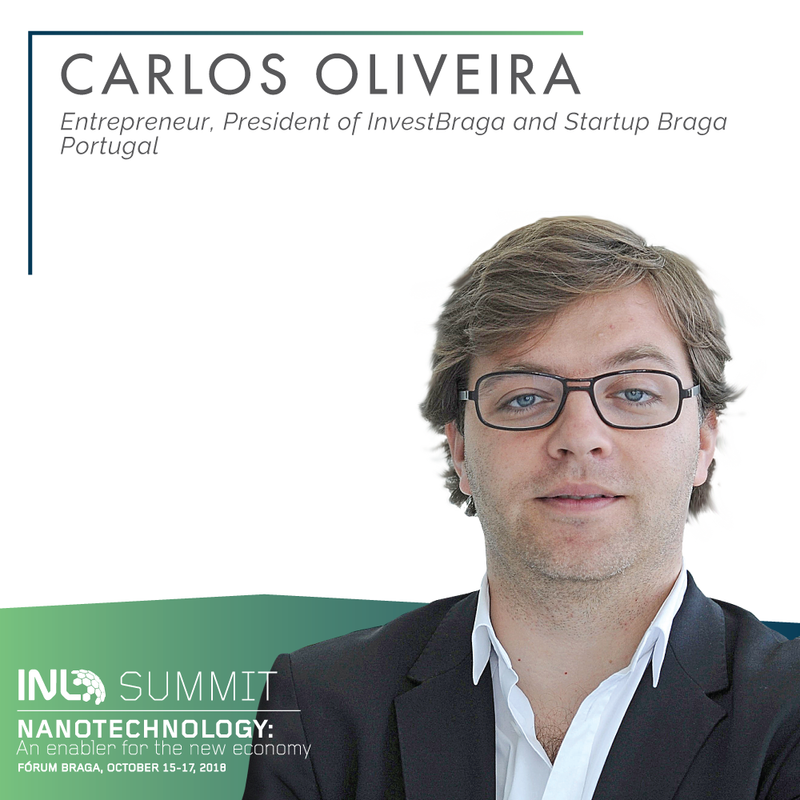 Between October 2014 and January 2018, he was the President of ANI – Agência Nacional de Inovação - the Portuguese National Innovation Agency. Through his own Hong Kong based Strategic Enterprises Limited Björn Segerblom is now engaged in selected board and project assignments with main focus in Hong Kong and Asia. He was for more than 12 years engaged by Hong Kong Science and Technology Parks Corporation, a statutory body with the goal to transform Hong Kong into the regional hub for innovation and technology, as Overseas Representative in Europe with main focus upon the Scandinavian countries, UK and Belgium, also having opened up in Germany, France and Switzerland. Björn Segerblom gained extensive international industrial management and marketing experience. Hence, his wide international experience spans over chemical, turnkey contracting, industrial explosives and mechanical engineering industries as well as certification, inspection and verification services for industries and governments, plus extensive exposure to incubation and start-up communities including interaction with government and business agencies in Hong Kong and Europe. Björn Segerblom has also served many years on the Board, including as Chairman, of Sweden-based Royal Sweden Hong Kong Business Council, now upgraded to The Hong Kong Chamber of Commerce in Sweden. Now spending most of his active time in Hong Kong and Asia, Björn is Honorary Chairman and Hong Kong Representative.